It took me a while,but I'm really starting to like Pan,now. Lovely,nature painting on a truly epic scale. A bit of a Czech equivalent of Bax's Spring Fire in some ways. I like those East European horns,too. Some people have observed that it goes on a bit too long for it's own good;but I'm starting to think it's fine just the way it is! 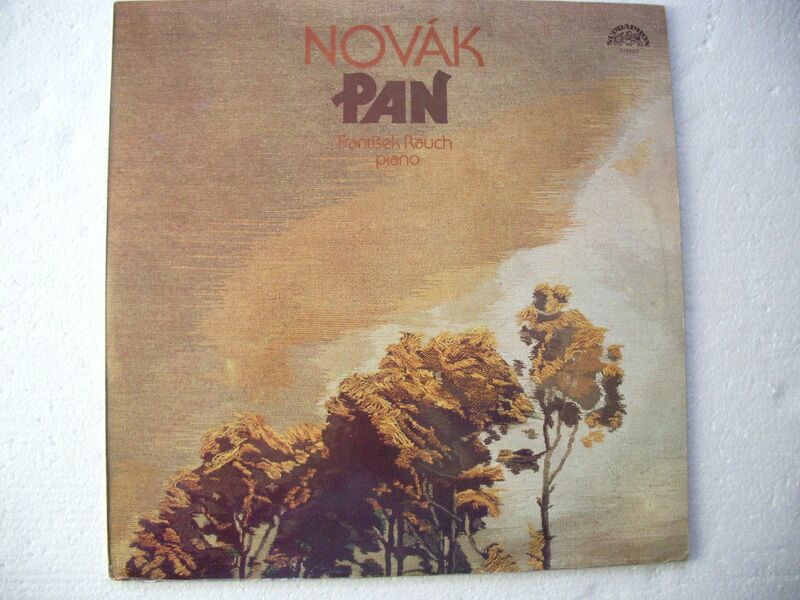 Yesterday I played Pan, what an amazing music! I perceived a notorious Impressionist influence, echoes of Ravel and especially of Debussy. It's an interesting blending of post-romanticism and French chromatic touches. Do you know the original piano version Caesar? Yes, I have it. I'm not sure if would have been better to listen to the piano version first, though. Currently, I'm listening to the orchestral works, and today I'm gonna play Lady Godiva and Toman and the Wood Nymph from the excellent Chandos recording, which is a desert island disc. I'll play the piano version of Pan when I finish the orchestral, or perhaps I'll play both versions the same day to compare them. I love both versions. I think that I knew the orchestral version first. 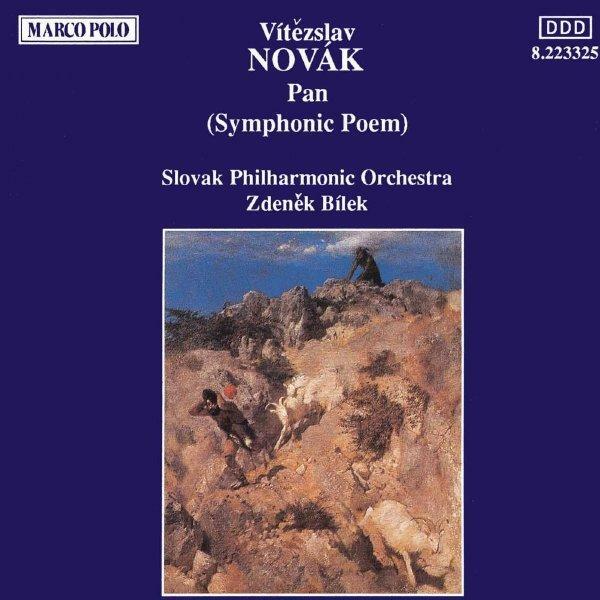 I have been trying to get a,reasonably priced,copy of Zdenĕk Košler's Supraphon recording of Novak's The Storm,for a few years,now,without success! Last night,I went on the internet,for something else. I had my usual look for sought for s/h cd'd (dvd's) and there it was! I bought it,of course! Courtesy of a certain,ubiquitous,purveyor of cd's,dvd's and books,I should have a copy soon! Not long ago,I acquired the Virgin cd of Novak orchestral works,from the same source. Also,a very hard to get s/h copy of Hollreiser's emi recording of Der Zigeunerbaron by Johann Strauss. And very recently,the emi cd of Fricker/Simpson/Orr symphonies! I just wonder what nuggets this seller will bring up next?!! Their customer service has always been very good,too,when required. At least,in my experience. 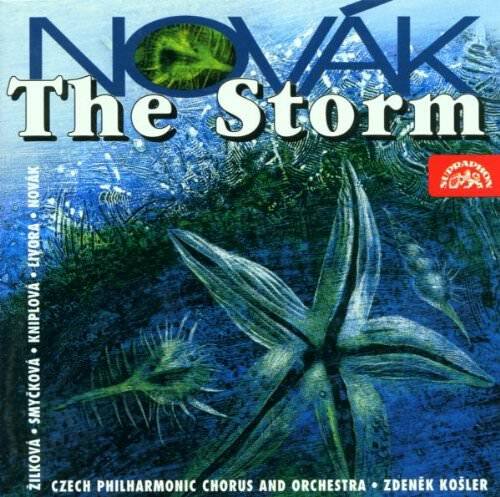 Novak's "The Storm" is a very fine work and the Kosler recording is excellent too - so happy listening! Yes, it's an out-and-out masterpiece as far as I'm concerned - one of the greatest choral works if the 20th Century. That Supraphon recording (there's an older one as well) is terrific, although it would be great to have a more modern recording. Having so many new releases of music that probably would never have seen the light of day if it had not been possible by advocate labels like Naxos, cpo, Chandos, etc, will we have the proper recordings of the Novák's two symphonies? I keep hoping that it will be possible in the near future, perhaps next year. The recordings on YouTube of them sound somewhat tortuous to appreciate with no a decent sound. On,now. This arrived today. I finally managed to acquire a copy at a reasonable price! I have the old mono recording,and,just listening to this;you really do need to hear this in a good,stereo recording! This is the first time I have really enjoyed this colourful,dramatic music. I am really enjoying this;and I can quite see what vandermolen sees (hears) in it. A new recording would be welcome;but,in lieu of that,Supraphon really should have the sense to reissue this fine recording. Instantly approachable music. If you like choral music,Czech voices and sumptuous late,romantic music,with a dash of nationalism,you need to hear this! I'm impressed. And I like the artwork,too! Yes, it's a fabulous release in all respects. Agree with all of you about this work and this recording. I've heard other recordings that are more modern than they lack the sense of joy, grandeur, lyricism, beauty, and adventure to this recording. 'Other recordings that are more modern...'! I thought that the Kosler was the most recent. I'd be most interested to find a more recent recording. However, I suspect that I'd always come back to the Kosler. I do not have a recording of the orchestral version - I need to find one. For piano, I have. Brilliant that Novak is discussed in such depth on this forum. If I may throw in my two penny worth, I searched long and hard for a Supraphon recording of "In the Tatras" only to find the coupling, "About the Eternal Longing" is even finer! Please do throw in your views! I like 'In the Tatras' very much. Novak himself was a mountain climber. This work was a real eye-opener (or better, an ear-opener!) to me in the Novák's world sound. I should have added 'Christ Child's Lullabye' from 'Eight Nocturnes' - one of the most beautiful songs that I know. I have it, and it's one of the best ones I know. The 3 works in there are superbly well recorded and performed. Totally agree. Very colorful, original, and thrilling works brilliantly and vibrantly recorded. Anyone who likes this composer must own this recording.